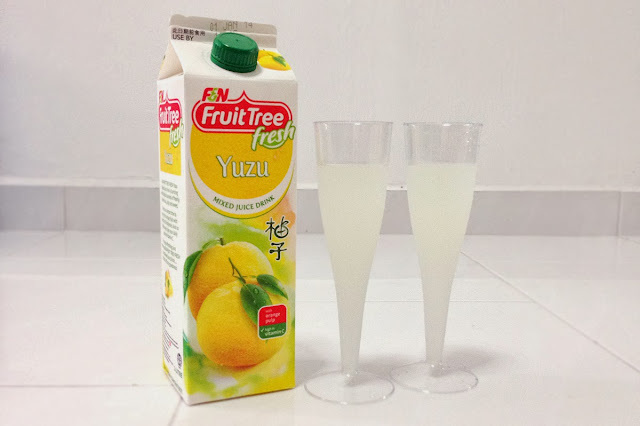 On my recent grocery trip, F&N Fruit Tree Fresh Yuzu Mixed Juice was added to my basket. 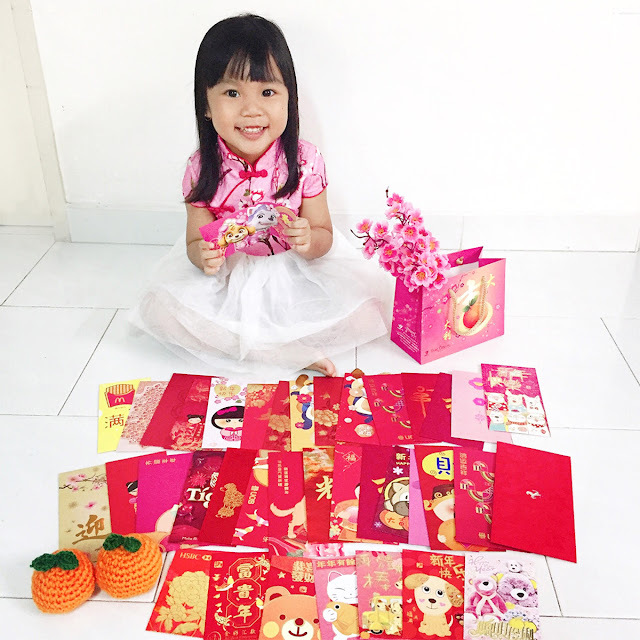 And there's a promotion for Assorted Flavours for F&N Fruit Tree Fresh: 2 for $4.65. 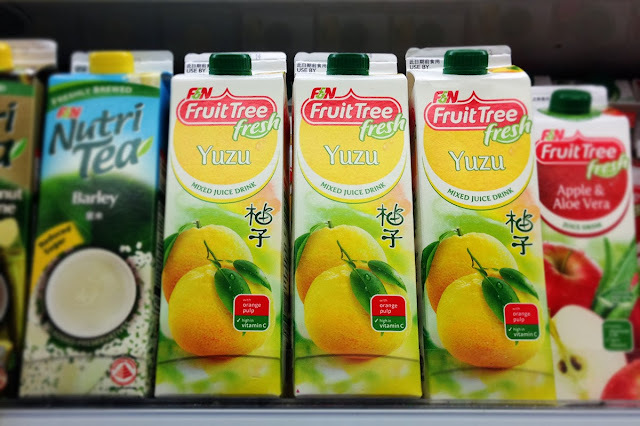 F&N Fruit Tree Fresh brings the superior taste of Yuzu directly from Japan and all the goodness of the fruit, closer to home and readily available with its newly launched F&N Fruit Tree Fresh Yuzu Mixed Juice, the latest addition to the F&N Fruit Tree Fresh Juice range. F&N Fruit Tree Fresh Yuzu Mixed Juice is zest up with a twist of lemon for a refreshing taste and the improved potency of Vitamin C for immunity. The real orange pulp bits in the juice complete this unique taste sensation. Loaded with three times the amount of Vitamin C a lemon has, drinking a glass of F&N Fruit Tree Fresh Yuzu Mixed Juice everyday meets your daily Recommended Dietary Allowance (RDA) for Vitamin C.
F&N Fruit Tree Fresh Yuzu Mixed Juice taste a little bitter, a little sour, and not very sweet. A mix of tastes. I like this refreshing taste.